This subproject has the twin aim of 1) elaborating theoretically the concept of a theatrical epistemic community and 2) tracing historically its consolidation and differentiation in the pre- und post-WWII period. In this sub-project, theatre and media historian Nic Leonhardt investigates funding policies and Activities of both the Rockefeller and Ford Foundation in the realms of culture and theatre. 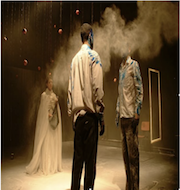 This sub-project traces the impact of foreign funding on theatre with additional examples from the visual arts and music in the Occupied Palestinian Territories from 1983 to the present day. 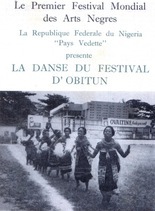 This sub-project focuses on four art festivals on the African continent as nodes in a postcolonial Pan-African, diasporic and cosmopolitan network of an expanding theatrical epistemic community, and inquires into the ways in which this network generates new forms of performance culture at the dawn of independence. This sub-project examines how the International Theatre Institute coordinated ‘international exchange of knowledge and practice in theatre arts’ and support for ‘third world’ theatre in the Cold War era.